Riding a train and playing or listening to music conjures up romantic images of Woody Guthrie and his guitar witnessing the country by boxcar during the Great Depression. The music-train connection runs deep — Boxcar Willie made a career of hobo songs, Steve Goodman had a hit with “City of New Orleans,” and in 1970, the Festival Express rolled across Canada with Buddy Guy, Janis Joplin, The Band, the Grateful Dead, and others on board. In 2001, music manager Charlie Hunter organized a trans-Canadian train trip to a folk music conference in Vancouver, British Columbia that led to the creation of Roots on the Rails, with the first trip from Toronto to Vancouver in 2003. Hunter now offers four trips each year and has run thirty-five music-themed train excursions since its inception. The railroad fits quite comfortably into the world of roots music. Folk, blues, western, jazz, and American music will be the order of the day when the Roots on the Rails Revue hits Portland on Thursday, August 25 with a show at The Old Church. 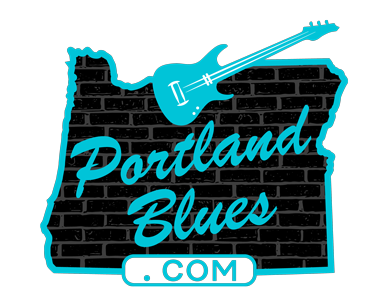 The line-up for this event is spectacular, featuring Blues Music Award nominees Dave Alvin & Phil Alvin, Grammy nominee Eliza Gilkyson, and singer-songwriter Butch Hancock. Dave Alvin and his brother Phil formed the roots rock band the Blasters in 1979 and soon developed a strong fan base throughout the United States and Europe. The brothers separated in 1986 with Dave going on to work with the bands X, The Knitters, The Flesh Eaters, and then eventually to a successful solo career. Phil continued to work with The Blasters and after some serious health issues, the brothers reunited in 2013 with a pair of highly acclaimed recordings and tours. Eliza Gilkyson is a 2-time Grammy-nominated singer, songwriter and activist who has become one of the most respected musicians in Folk, Roots, and Americana circles. Her songs have been covered by musicians as diverse as Joan Baez, Bob Geldof, Tom Rush, and Roseanne Cash. Butch Hancock is a world traveling troubadour with a long string of recorded songs and albums. Peers and critics alike acknowledge Hancock as “one of the finest songwriters of our time” and as one of the premiere singer-songwriters Texas has ever produced. Tickets for Roots on the Rails are available through BrownPaperBagTickets.com or at The Old Church office, for $30.00 advance, $35.00 day of show. Show time is 7:30 pm and all ages are welcome. The Old Church is located at 1422 SW 11th Avenue.